Dream, but be realistic about what is possible. There is no perfect home. Do your homework before you start looking. Decide specifically what features you want in a home and which are most important to you. Get your finances in order. Review your credit report and be sure you have enough money to cover your downpayment and your closing costs. Don't wait to get a loan. Talk to a lender and get pre-approved for a home mortgage before you start looking for your casita. Don't ask too many people for opinions. It will drive you crazy. Select one or two people to turn to if you feel you need a second opinion. Decide when you could move. When is your lease up? Are you allowed to sublet? How tight is the rental market in your area? Think long-term. Are you looking for a starter house with the idea of moving up in a few years or do you hope to stay in this home longer? This decision may dictate what type of home you'll buy as well as the type of mortgage terms that suit you best. Don't let yourself be "house poor". If you max yourself out to buy the biggest home you can afford, you'll have no money left for maintenance or decoration or to save money for other financial goals. Here in Northern New Jersey everyone gets a home inspection so that they will be well informed about the condition of the house. How To Buy a Home Study the market Go to WWW.RealEstateFact.Com. View the homes for sale today in your price range. 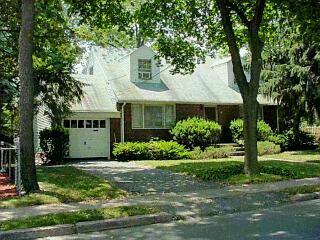 See photos and descriptions of all the homes for sale that match your price/town criteria. Free - subscribe to the Home Market Update – new listings e-mailed daily. Review the town-by-town home price lists to learn how many houses are for sale, low price, average price and high price. Updated all day. Verify your finances Get written verification that you have the resources to buy the home. That usually is a “pre-approval” letter from your financier. The sellers will want to have a reasonable assurance that you can finance your purchase. You’ll need a pre-approval to compete. Make the arrangements to get your written verification before you start looking so that you will know which houses you can afford to buy. Ask me for a list of reputable financiers. Focus your search on houses that are somewhat lower and somewhat higher than your affordable price. The offer/contract Read the Realtors Real Estate contract so that you will know what to expect when we do find the “right” home. It is the form that is used to submit an offer to buy a home. Understand NJ real estate relationships Ask me for and read the NJ Real Estate Commission pamphlet entitled “Consumer Information Statement - Real Estate Relationships in New Jersey” It explains the four different forms of real estate representation in NJ. They are disclosed dual agency, buyers agency, sellers agency and transaction brokerage. Choose how you want to be represented and sign the appropriate form. Learn about lead paint hazards Ask for and read the Environmental Protection Agency (EPA) pamphlet entitled “Protect Your Family From Lead In Your Home”. Sign the form entitled, “Disclosure of Information and Acknowledgement Lead-Based Paint and/or Lead-Based Paint Hazards”. Contact Peter Macdonald and browse WWW.RealEstateFact.Com To buy or sell a house. To look at a house. For complete house details whether or not it is a RE/MAX classified ad or yard sign. To subscribe, to the Home Market Update - homes for sale listings e-mailed daily - FREE To get a list of reputable financiers. To ask a general real estate question. Click towns: see photos! Get details!